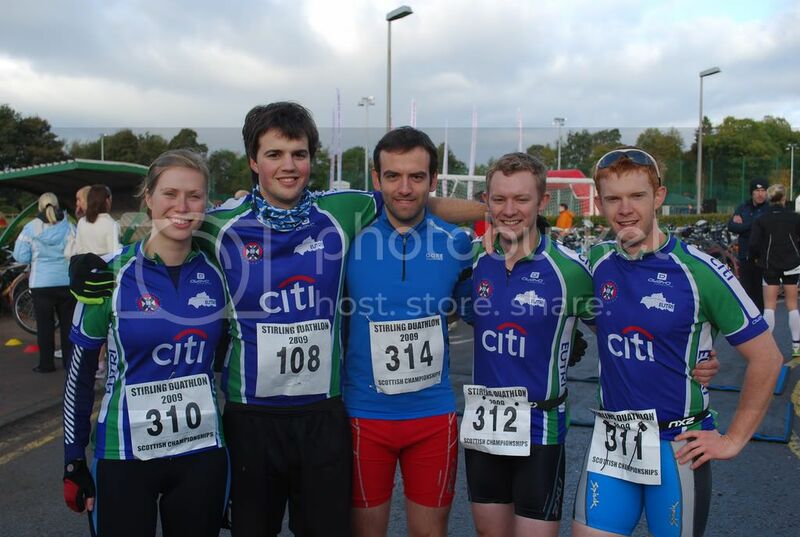 The 2011 race season may not have started for me yet but it’s already been a year to remember in my triathlon career. 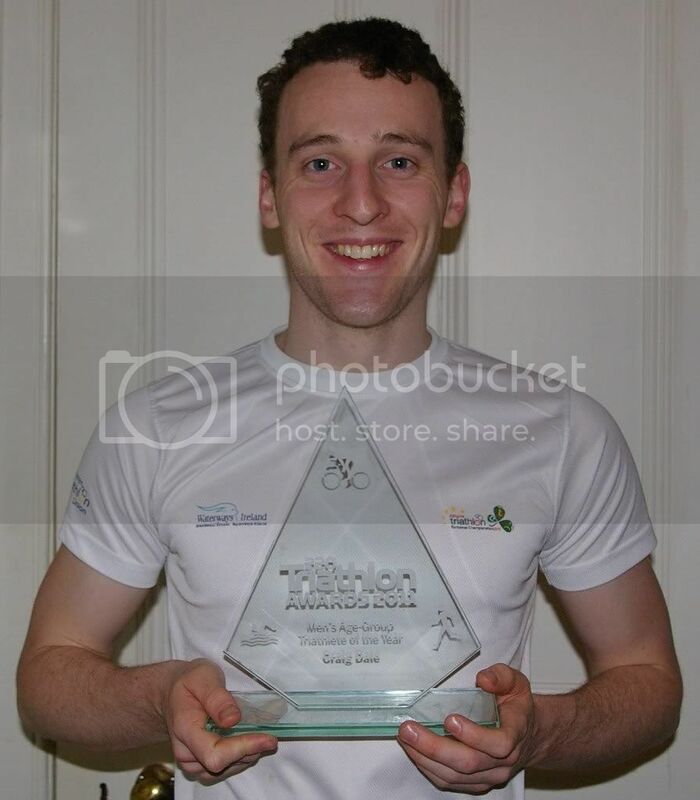 On Saturday 12th February I was invited to the annual awards of 220 Triathlon Magazine, Britain’s biggest selling triathlon publication and at the end of the night I left with the recognition of being voted Men’s Age Grouper of the Year. And I’m still in shock! This journey began in November when online voting opened for the awards. The public could vote for anyone they felt worthy to win in the various categories, including male and female elite triathletes of the year, age groupers, duathletes, and paratriathletes of the year, as well as retailer, equipment and website prizes. Votes were totalled and a shortlist of three candidates was created for each category. Thanks to the efforts of EUTri and other fellow triathletes/people demanded by Finlay to vote for me, I made it. Due to a massive hole in the road on the old bike route we've had to come up with a new one. Out of transition you will turn left and head south along Blawearie Rd until you meet Ormiston Rd. At Ormiston Rd (B6371) you will turn right and head down the B6371 until you come to a fork in the road. At the fork turn left onto the B3655 towards New Winton. Travelling for about 5km you will meet the A6093. At the junction turn left again onto the A6093 heading north east towards Haddington. After about 3.5km you will take the third left head north along Birk Hedges to the A199. At the A199 turn left again travelling through Gladsmuir and Macmerry. Coming into Tranent trun left onto Rsss Crescent and right onto Ormiston Rd. Turn left onto Loch Rd and left again onto Blawearie Rd and back into transition. Simples! 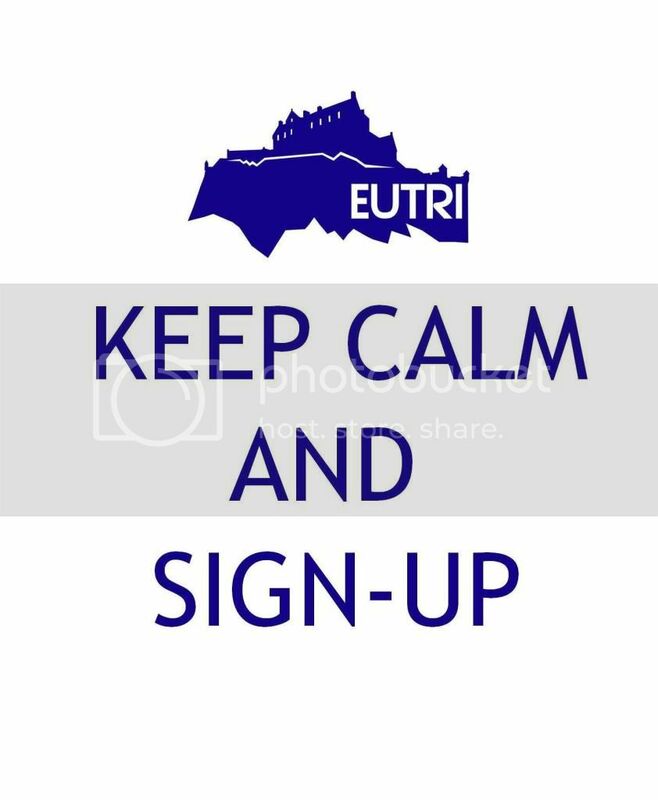 Don't worry there will be plenty of signs and EUTri marshalls to give you encouragement and keep you going to right way. A public service announcement from none other than El Presidente Killean. On 27th March, Stirling Duathlon will be the venue for the first ever Scottish Universities Sport Duathlon Championship, giving you the opportunity to race for your University and compete for the title of Scottish University Champion. 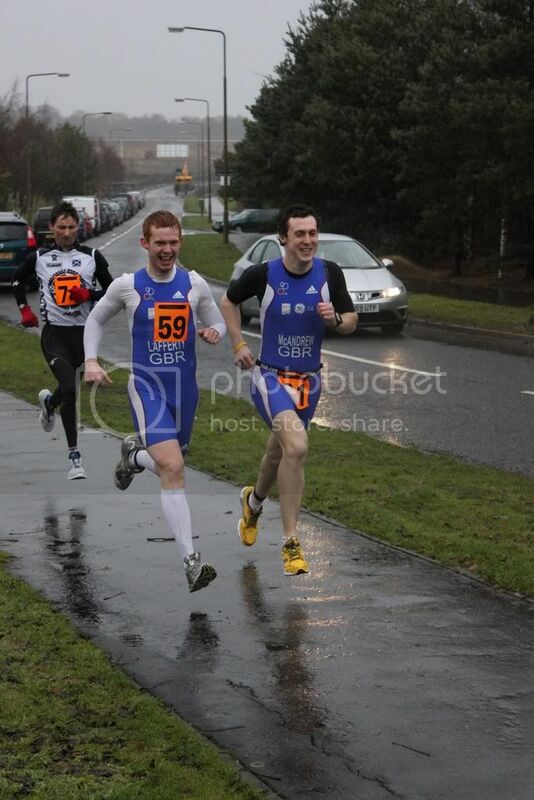 Stirling Duathlon is a fantastic and very well-organised race, attracting hundreds of entrants every year. 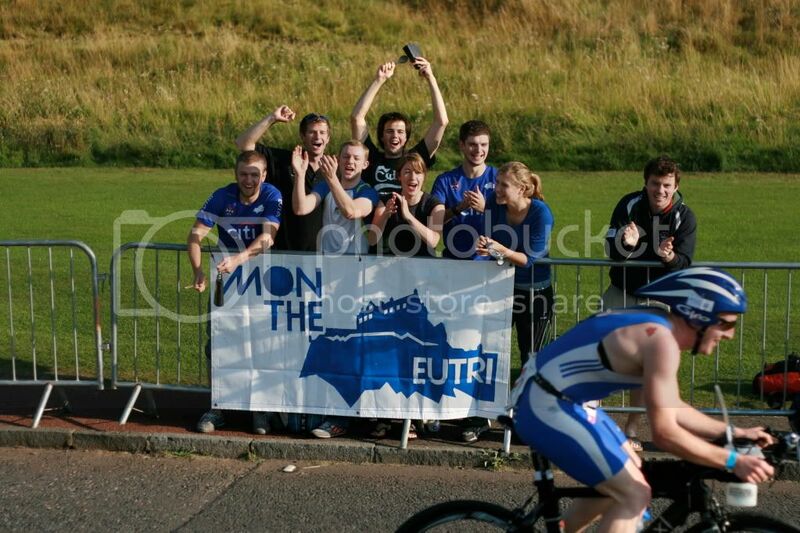 It is the perfect venue for our club to display our talent to the rest of the university triathlon clubs in Scotland. The category is open to anyone studying at a Scottish University (including international students), and incurs no extra cost. You can enter here - http://www.entrycentral.com/index.php?raceID=100025 you simply just have to enter youruniversity name in the required field. We will still have the mini-bus and van available from Tranent, so will be able to take competitors across and back on the day. I encourage as many of you as possible to enter - I am certain EUTri will be able to dominate the category! There is an inherent madness that every tri-athlete possesses. This determination, of sorts, isn’t always required. But there are those times when it does come in handy… those mornings when the average person rolls back over and pulls the covers up. The morning of the Kirkliston Duathlon (3) was one of these mornings. Nerves had me awake at 5:30 am listening to the winds howling through Edinburgh and watching the rain pelt down. How on earth were we going to ride out to Kirky, let alone race? This is the point where I mention that I am an Australian and weather like this would see a race cancelled back at home, but the Scots have a rather annoying ability to persevere through the worst of conditions. With the previous two races of this three part series having been cancelled for the snow and ice that last December brought; It seemed that everyone was simply excited to get out there and give it a go regardless. So my mantra for my first multi-leg race in Scotland: “Do not freeze”. After surviving the cycle out to the race site, the EUTri contingent huddled, waiting for the race to begin. At least then we would be moving, generating a bit of warmth. Being the only female I led off in Wave 1 of the 4/14/4 km duathlon. The race begins with a decent uphill run (again another moment when that madness comes in handy) which was thankfully over before I knew it. 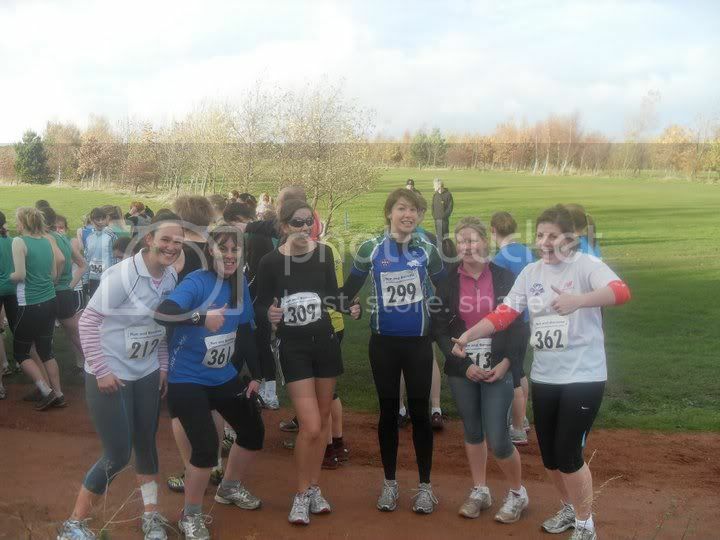 Kirky is a course that becomes a spectacularly muddy mess after the first few minutes. Makes racing all the more fun! On a crisp sunny Saturday morning in November, most students would be curled up under the duvet, hitting the snooze button and groaning about the headache from last night. This however, did not apply to the Eutri contingent that merrily (sort of) made their way down to KB House last weekend to charge up and down a muddy hill in the form of the Braid Hills Cross Country run. Despite having had no experience of cross-country before and nursing an ankle sprain from the previous week, I convinced myself to give it a go (“It’s only a 5k…how hard can it be? !”) Having registered and nabbed some face-paint from the Haries, I couldn’t help noticing that clubs had travelled from all corners of the UK to take part in the race and looked pretty serious. Still, my spirits were kept optimistic by the reassurances of the rest of “Team High Five” as we tried to convince each other we were going to take it easy and stick together, and were only here for the banter anyway! We even considered the feasibility of a tandem mud slide at the finish line for dramatic effect. The Mens Health Survival of the Fittest, what a medal to own, although I went into the race thinking ‘fun run’ I came out of what must have been my toughest run to date with a surprisingly big smile on my face. The day started bright and early with the essential morning carb up; apple, raisins, cinnamon and honey mixed up in a whole load of porridge are the ingredients for success. 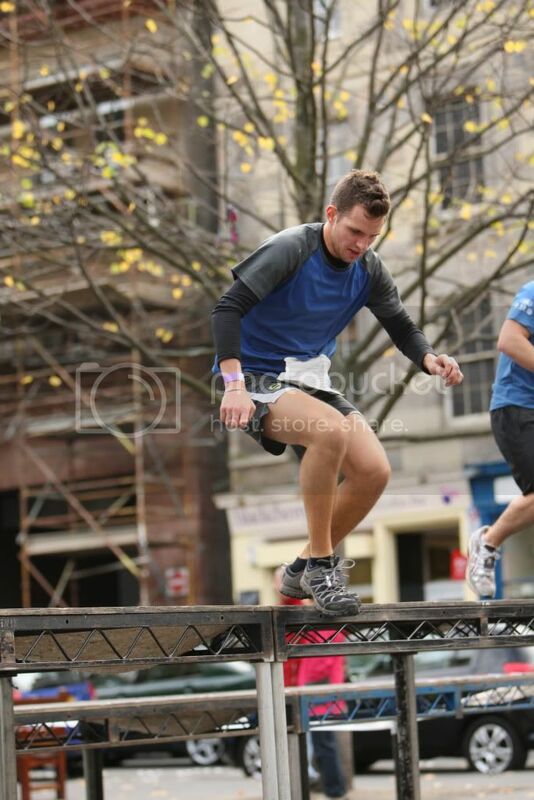 Weirdly I wasn’t nervous about the race, I was quite content on just having a nice jog around Edinburgh and try my best to get across the dozen or so obstacles they had scattered along the course. I realised how commercial this race was and figured there would be a whole bunch of fitness freaks who spend most their time in the gym with protein shakes as opposed to in the pub with a pint like me (or more accurately in the library with a coffee). So I thought there was no point in being competitive. I met my mate Will in good time to have a look around the stalls and soak in the atmosphere of ‘race’, which was hard, as I turned up ready to go in shorts and t-shirt and consequently felt rather cold but still remained positive and relaxed. Don't forget Tuesday the 21st of September (tomorrow night) is the night to sign up to the club. If you want to join the the EUTri family coming along to the Crags (across the road from Pollock Halls - see Google maps link) at 7.30pm armed with £35 and your CSE gym membership*. Look out for the hotties with EUTRI on their backs. *If you don't have a gym membership you'll need to pay an associate fee, the SU hasn't decided the cost of this yet but it's usually about £40. At EUTri we cater for athletes of all abilities - from complete beginners to the sport, to those competing at an international level. We are a friendly, sociable club with training sessions most days of the week - of which members can some to as many (or as little) as they'd like! As well as training from professional and our own club coaches we have incredible socials including our now infamous pub golf and annual trip to Aberdeen. If you're interested in joining the club come and see us at the Sports Union Fresher's fair on the 15th and 16th September where you can find out more about us and join our mailing list. For information about our training schedule please see the 'Training' section above. If you have any questions please feel free to sign-up and post on our forum our e-mail the club president, Angus at - angus.j.killean@sms.ed.ac.uk. Triathlons have a habit of starting rather too early for comfort on Sunday mornings, so it was some consolation to learn that the 2010 “Durty Tri” down at St Mary’s Loch near Selkirk was both on a Saturday (31st July), and also allowed registration up until 1.45 p.m. This meant that the newly-emerging group of University Department of Clinical Neurosciences triathlon neophytes had a more relaxed start than normal as we gathered freshly lubed mountain bikes, Portobello-bacteria-infested wetsuits, and running shoes suitable for trashing, before heading down to the Borders. The five docs and two hangers-on were regular mountain bikers, so we reckoned that the 15km “slightly technical” bike bit should be okay. Running 5km off road up hills? – Probably fine if we took it slowly. But swimming 750m in a cold, dark Scottish loch? Well, err…? Was it true that people kicked you in the face and dislodged the goggles? Did fellow competitors really yank the wetsuit lanyard so that water got in and you drowned? What about the killer pike that emerged from the water and bit you in the murky depths? It was the first serious open water event for most of us, and the imagination was working overtime. The gap in between Ironman’s (Ironmen?) was for 2 things: recovery and reflection. As noted in the IM Fr report, I hadn’t pushed the run too hard so escaped Nice with a lot less fatigue than otherwise may have been the case. I did have lots of reflection to do though; what did I do wrong? How could I completely eliminate it this time? What would I do if A, B or C messed up? It was a tough time, but I managed to peak with 27 hours of training during the second week out from France before having to go back into a nose-dive taper for Switzerland. The speed was almost back in my legs but I was still feeling a lot more tired. Before I knew it I had to pack up the bike again and ship out. I arrived into 32 degree heat on the Wednesday before the race. Looking at the weather forecast was reassuring however as a storm front was approaching and temperatures were set to drop to closer to 15-20. The race organisers had emailed us the week before saying that if water temperatures in the lake were about 24.5 the race would be non-wetsuit. On the Thursday they were sitting at 26!